Cypress College Radio (Official Site) - The Best Stuff You've Never Heard! Our new site is at ccmn.tk! Welcome to Cypress College Media Network. We are the online radio station for Cypress College in California. We play music from unsigned local artists and feature original shows hosted by Cypress College Students. 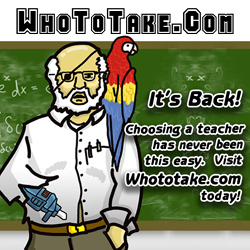 Click Here to Visit WhoToTake.Com! honey, i blew up the amp!